It's almost here! 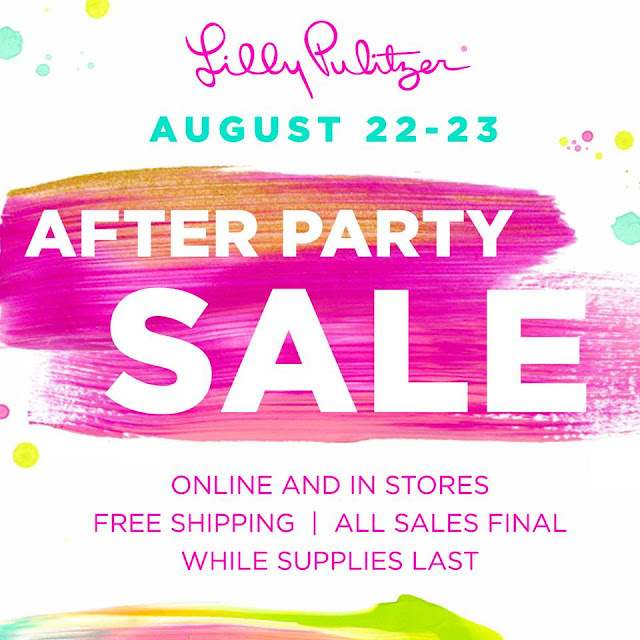 The Lilly Pulitzer After Party Sale is coming Monday August 22. 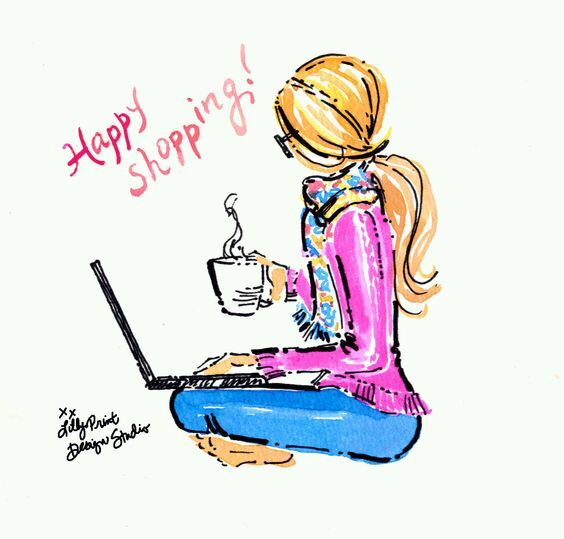 It is the best time to score some of those Lilly items you've been eyeing but couldn't pull the trigger on at full price. Here are some tips for scoring some great deals. 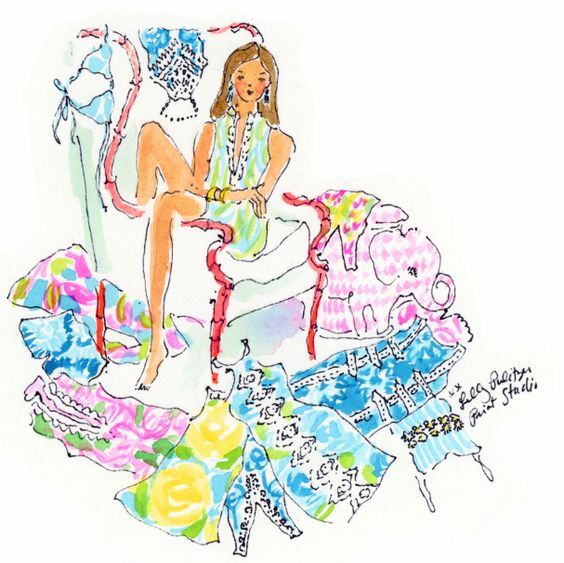 Lilly Pulitzer has two online sales a year, one in August and one in January. This years sale will run from August 22-23 and starts 8am EST. Items from the previous seasons are reduced and you can get some amazing deals. The last few sales, LP has implemented a "virtual line" in order to cut down on the site crashing. Once you are put in the line, DO NOT refresh or you will be placed in the back of the line again. Make sure your credit/debit card are up to date. There is nothing worse than going to check out and realizing your card expired and loosing some items in your cart because you forgot to update. Also make sure your address is up to date. I've moved a couple times and it wouldn't be the first time that I accidentally sent something to the wrong address. It's a huge pain, just update it. Make sure you log in before Monday morning. The LP site is typically down a few hours before the sale to prepare. I typically log in Sunday night so I'm all signed in Monday morning when the sale begins. Since all items are final sale make sure you are purchasing things in your size. If you don't know how things might fight use the True Fit calculator to get a better idea before you shop Monday. Also, check out the reviews of certain styles to see how other people rated it. I've found it super helpful if I wasn't sure something might fit. It can be really easy to go overboard with this sale. Set a realistic budget for yourself and don't go over it. It can be hard not to get swept up in the excitement so have an idea of what prints you are dying for or what styles you absolutely need. Once it starts to get close to 8am I start refreshing like crazy. There have been years where I've gotten on a few minutes before 8. Once you're in the line, you'll get an estimate for how long your wait will be. In my experience, the wait typically isn't as long as it claims. It might be one of the worst feelings ever when you see your dream dress and then realize that they are sold out in your size. Narrow your search to include any sizes you are looking for. It will save you both time and heart break. Remember! Items in your cart are not saved until you actually check out. So if you see something you really want then check out and get back in line. My first round is to find any of my must haves, then round 2 is mostly seeing if there is anything I missed. Make sure you follow Lilly on Facebook. Occasionally there are flash sales that are only available through the Facebook. I've bought some awesome gifts for friends during these flash sales. The Lilly site is not the only place that has awesome deals Monday. Check out signature stores (in person and online) as well as Amazon, 6pm, or Nordstrom. The prices and inventory may differ so it is definitely worth looking at, especially while you wait in the virtual line.